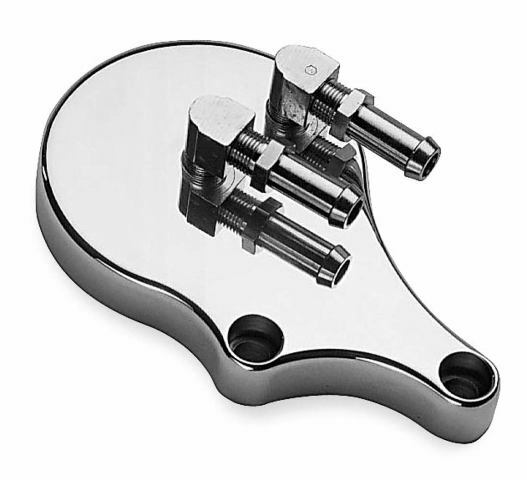 Slimline Oil Filter Adapter for the Harley-Davidson EVO motor is the way to go when you want to get rid of the stock lines and set your Harley up with custom oil lines. Popular with custom bike builders and shade tree builders alike. 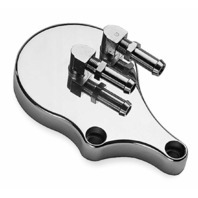 Replaces the stock oil filter mount on Harley EVO motors and simply bolts to the stock location. CNC Machined from solid Billet Aluminum. Chrome fittings and Mounting hardware included. Just add your custom oil lines and you're good to go! Fits 92-99 EVO Motors. Includes 3/8" external fittings. 1/2" thickness provides a custom, low profile look. Triple Chrome plated.